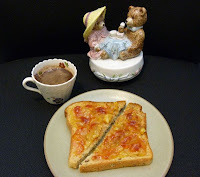 It was Day #4 of Chocolate and Peru Theme Week; and time to talk about Paddington Bear. If you've never read the popular childhood stories about this small stuffed bear (that first appeared in 1958), you're missing out. 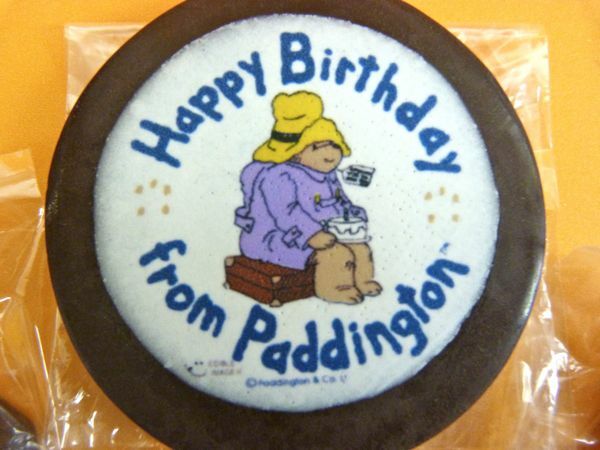 Paddington Bear (and his trademark hat) hailed from deepest, darkest Peru, and was so named because his debut as a character occurred when he arrived at Paddington Station in London. The bear's favorite foods included hot chocolate and orange marmalade. 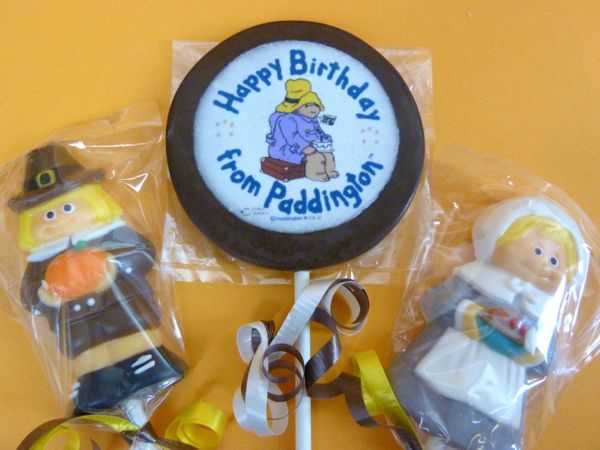 So, I enjoyed a plate with these items, after I'd eaten a Chocolate Paddington Bear Lollipop from Castle Rock Chocolatier (Cody, WY). The lollipop had a satisfying chocolatey flavor. 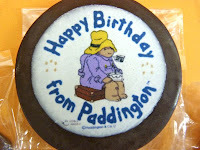 Cheers Paddington, and happy 54th birthday to you this past month. Thank you to Chauntelle at Castle Rock for a careful packing job, and for two chocolate Thanksgiving pilgrim lollipops who accompanied Paddington on his journey to California.